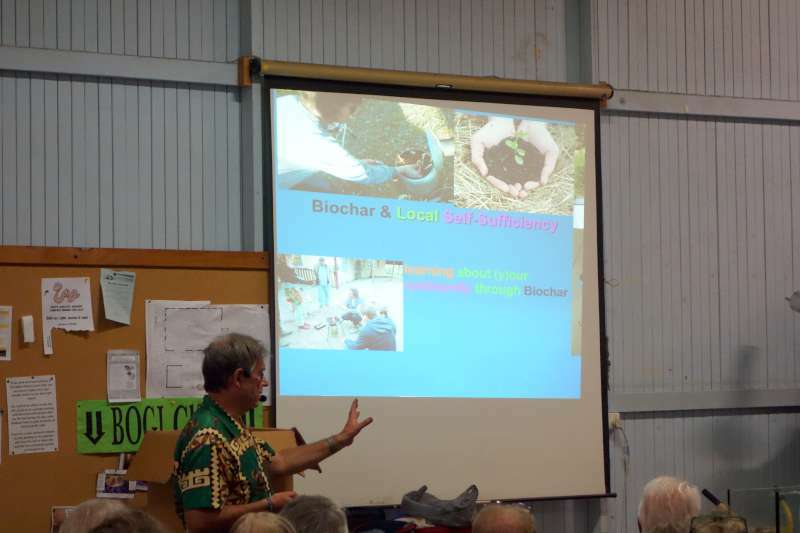 Biochar in Brisbane thanks to Dr Paul Wildman, Bush Mechanic and Apprentice Charmaster. On September the 4th 2014. At Brisbane Organic Growers Inc. I had the pleasure of watching a fantastic presentation on Biochar. In a room filled with well over 250 people Dr Paul Wildman gave a riveting address. Why was I so excited about this presentation ? Dr Paul Wildman has worked with me almost since the beginning of my Biochar career. A well educated and articulated man who holds several Philosophical Doctorates or ( PhD’s for short ) and has etched out a career at the highest echelons of education. 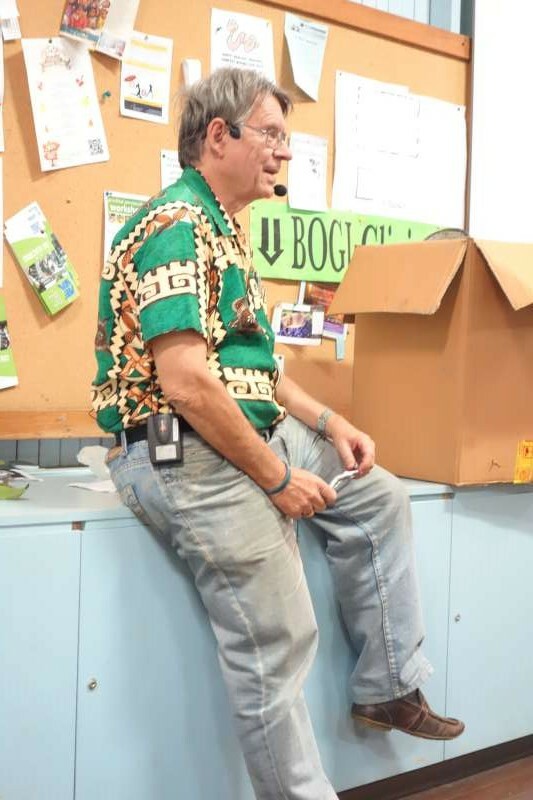 A man who is so passionate about proper education he dragged me kicking and screaming into the wide world of Adult learning and Action Learning circles. Fast forward several years and a United Nations Millennium Award under our Belts and we were making history again. 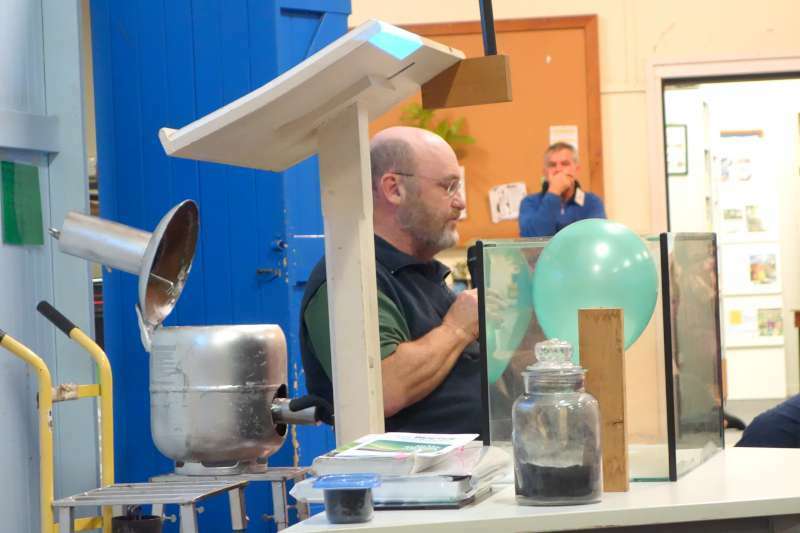 Paul Wildman was now about to enthuse a crowded house of avid gardeners about the magic of Biochar. Grass roots style. Biochar In Brisbane is where its at. 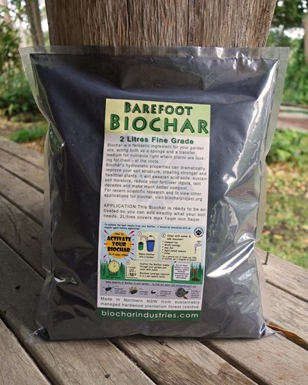 Thanks to BOGI our Barefoot Biochar is now on Sale in Brisbane. This was the description for the Night. Paul, is a local and he will discuss a particular local innovation in Biochar retort making ~ from discarded Gasbottles. This model is called a Stumpy TLUD. Further Paul will background Biochar and outline various applications of Biochar such as Medicine, Health, Africa ‘cooking for the people’ (Zimbabwe), hydroponics, plant research and so forth. Please note the presenter does not claim to be an expert in the Science of Biochar – for this he will be ably assisted by Dr Phil Vardy of BOGI fame. Rather his interests are in the social aspects of Biochar esp. spreading its message called ‘diffusion’ in innovation theory (localised, open source and peer to peer), in this instance through Learning Circles. So a key part of this presentation will be in the educational/Adult Ed aspect of Biochar as well as the Biochar itself and to this end he has developed and applied Biochar Action Learning Circles as well as an eZine CRAFT of which the first issue was wholly devoted to Biochar http://crafters-circle.com/archive2011/ . At the end of his talk Paul will link this to building local self-sufficiency through Biochar (however if there is any interest this is another topic). 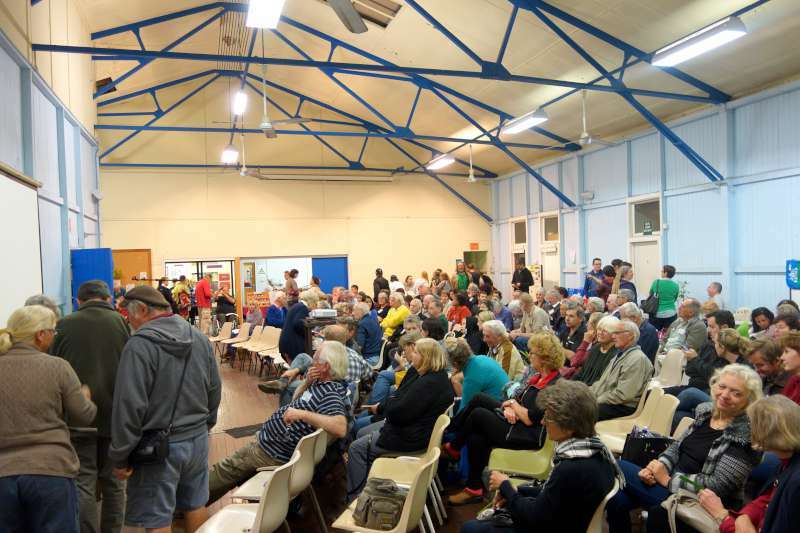 The emphasis will be on visual practicality not abstract diagrams so there will be heaps of pickies about Biochar – the star of the evening. With Questions we anticipate about an hour and a bit for the whole show. The world famous Stumpy TLUD was demonstrated for the gardeners to gain a full understanding of the many benefits of this gassifier has to offer. 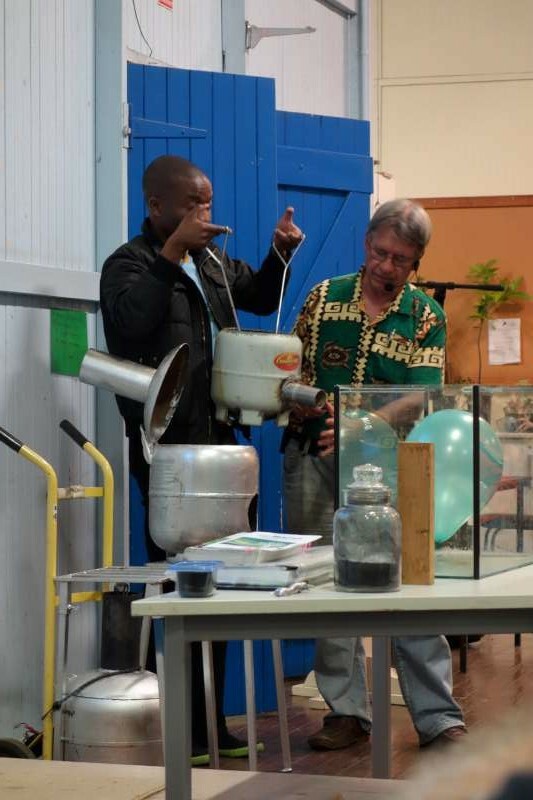 Brisbane gardeners were really excited to see a biochar maker that was so practical and affordable. Much of the attention was due to the fact that this stumpy was now being offered for the people in Zimbabwe with Rassell being the man on the ground in Africa. Dr Paul Wildman with Dr Phil Vardy, Rassell and a small helping hand from Charmaster Dolph Cooke made sure all questions were answered in a concise and easily understandable way for the benefit of everyone. A very Memorable occasion and a great day for Barefoot Biochar as all stocks were depleted upon the finish of the show. Next post: Biochar user Keith Laker. Previous post: Do you want to be a Charmaster ?